Lucifer unleashed a jam-packed episode in preparation for next week’s epic season finale. While the episode began innocently enough it did quickly escalate. At first, it almost seemed like some typical normal episode, not a penultimate one, but it quickly became obvious that was just a cover for the epicness about to be unleashed. It was nice that the case of the week was able to bring Charlotte firmly into the center of everything. Plus it also dealt with some motherly issues that gave Chloe and Charlotte something to bond over. It also gave Lucifer and his mom something to bond over like their very badly played game of charades. 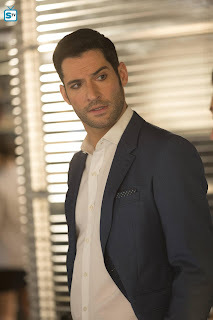 That was a brilliant moment of physical comedic acting by Tom Ellis. Overall, while this case wasn’t perfect, it was able to tie up some of the themes of the season while covertly setting up the big final Charlotte moment of the episode. This was a big episode for all of the celestial characters as they all experienced profound revelatory moments. Charlotte continued her desperate attempt to get back to Heaven before her time runs out. She was even willing to negotiate with humans and pay large sums of money to accomplish her goal. It was nice that her sons finally started to pick up on her urgency, but she still seems insistent on not burdening them with her problem. That either means she’s hiding something or legitimately trying to be a good mother and not place any extra stress on her children. The overall theme of the episode of mothers doing everything for their children seems to resonate heavily with Charlotte and makes a strong case for her actually trying to protect her boys from the truth of her situation. She’s not perfect, not even close, but she does genuinely seem to carry a lot of love in her heart for her children. Even though Bianca (Carolina Gomez) is an evil woman she and Charlotte do share a lot of qualities except she crossed lines that even Charlotte wouldn't. However, they both have made it clear the lengths they are willing to go to protect their children. In an odd way, Chet (Kade Wise) and Lucifer are quite similar too. They are both the children that their mothers seem most protective of. This case allowed the story to delve into some fun parallels between the two women and their families. In turn, it gave Charlotte and Chloe some things to bond over as well. The case was the weakest part of the first part of the episode, but thankfully it did pick up and turn into a pretty interesting story of motherly love. There is no question that Chloe and Charlotte don’t trust each other. Yet, for the sake of the case, they had to put aside some of their differences to try and solve the murder. It was clearly not easy for either woman, but they managed just fine without Lucifer even having to supervise them. In fact, he was busy with his own problems while they were off being a fairly impressive team. Charlotte seemed downright impressed when Chloe managed to bluff her way out of trouble when Bianca’s guards confronted her. They even had a couple nice bonding moments as they realized that as mother’s they do have a little in common. Well, that and Dan. It seemed like Chloe might have been scoping Charlotte out a little in the name of seeing what Dan was getting himself into. He’s her ex, but that doesn’t change the fact that she still cares about him as a friend and he is the father of her daughter. It’ll be curious to see if Chloe and Dan can spin some story to protect Charlotte after Chet’s charred body is found in her office. More importantly, it’ll be interesting to see what actually happened to Charlotte. Since no one knows exactly what the glowing light means there is no way to gauge just how critical it is that so much of it was released through the stab wound. One thing is clear, Charlotte’s already ticking clock just lost an exponential amount of time. The stakes for the season finale skyrocketed after what happened in that scene. Tricia Helfer is incredible in this part, so hopefully, the boys can find a way to save their mom because she’ll surely have to reveal the truth to one of them now. If she only tells one of them it’ll certainly be Amenadiel. After the epic episode-ending reveal that he was indeed his father’s favorite son he may be more inclined than ever to help his mom. He may not know Lucifer’s full plan, but he surely must realize that Lucifer has some plan brewing. He’s more likely now than ever to side with their mom and try to formulate some big plan of his own to help her and get back home. Now that he knows he was entrusted with the final piece of the Flaming Sword it’ll be interesting to see what Amenadiel will do. His story could go a number of ways depending on if that big reveal is enough to make him forgive his father for his current Earth-bound banishment. Lucifer is also a bit of an unknown factor in all of this. Up until this point, they all thought Lucifer was the favorite son. Now that he knows he wasn’t, what does that mean? Will it cause him to further rebel or give him a sense of relief to be rid of that burdensome title? There are a lot of ways things could go for him now. And as a result of his own actions during the prior episode, he may not even have Dr. Linda to counsel him. It was his impulsiveness that found her in a position to potential lose her practice and everything she’s worked so hard for. He wasn’t even all that helpful when Maze tried to use him to help Linda. As if Lucifer didn’t have enough going on his actions landed him right in Maze’s crosshairs. While all of their stuff together was epic, it was clearly understandable why Maze was so angry at him. Provoking Lucifer the way she did was nothing more than her way of dealing with her intense emotions surrounding everything. She doesn’t hate him, but in that moment she was hurt by his dishonesty and the only way she knew how to deal with that was through her fists. The fact he had also basically just sealed Dr. Linda’s fate didn’t help anything and by the time their epic fight occurred she was simply over everything. Dr. Linda was there for her when Lucifer wasn’t and the fact that his actions put their friend in such a bad spot didn’t sit well with her. Besides, at this point, she was expecting Lucifer to leave her and all she would have had left were her human friends. Even after he revealed why he kept her in the dark, all that did is cause her to feel more hurt. She has every right to feel angry about the whole situation. Never once did he consider her in the slightest and he even used her as a pawn. What is sad is that Lucifer didn’t see the impact of his actions. Maze has been by his side likely since he arrived to claim Hell and he should have known what he was doing had a larger impact. It’s clear he didn’t intend to hurt her, but his impulsive nature does usually have a trickle-down effect that often catches a lot of the people he cares about in its wake. This time his actions managed to sweep up both Dr. Linda and Maze and leave them scrambling to try and undo the things his actions set into motion. Even though it was hard to watch Lucifer and Maze continue to be on the outs it gave Tom Ellis and Lesley-Ann Brandt some amazing material to work with. Brandt in particular really got to shine in this episode. Watching Maze react to situations and act out against her feelings in this episode was fascinating. 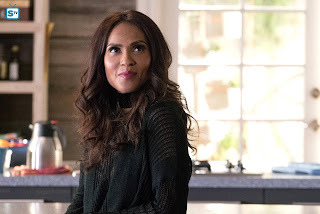 Lesley-Ann Brandt is an exceptional actress and has delivered more than a few unrivaled performances throughout these past two seasons, but the ones in this episode skyrocketed to the top of the list of some of her best. While the fight scene was exceptional it was the aftermath scene in Dr. Linda’s office that had the most profound impact. Brandt went deep into Maze’s psyche and found a deep well of strong emotions. This character may not have a soul, but she was one hell of a big heart. To see a big powerful demon have tears in her eyes debunks the way that almost all other shows handle demons. Much like the Devil, demons are usually instantly vilified, so it is fascinating to see this show portray a very different side to a demon. The amount of character evolution that has gone into Maze since the start of the series is astounding. It is both a testament to the writers and Brandt that this scene was so powerful and believable, also, huge kudos to both Tom Ellis and Rachael Harris who both perfectly set the tone of the scene for Brandt to be able to knock her performance out of the park. That whole scene was about as perfect a scene as can be done. Not to mention it allowed Dr. Linda to throw caution to the wind and reveal some hard truths to Lucifer. By virtue of that, the scene also allowed Harris to deliver a brilliant display of acting prowess. As a result, Lucifer was forced to accept the cold hard truth that his actions have a greater impact than he’s ever taken the time to consider before. It was a great moment of character growth for Lucifer. The whole scene was spot on and a big highlight of the episode. Even though Brandt owned the scene there is no questioning that both Ellis and Harris were right on par with her. They all nailed the tone and underlying emotions surging through this scene. While all of this was happening with the celestial characters, there were some big moments going on for the human characters as well. Thanks to the case of the week, Charlotte and Chloe were forced to work together. As a direct result of the case, the two women got to bond in an unexpected way. 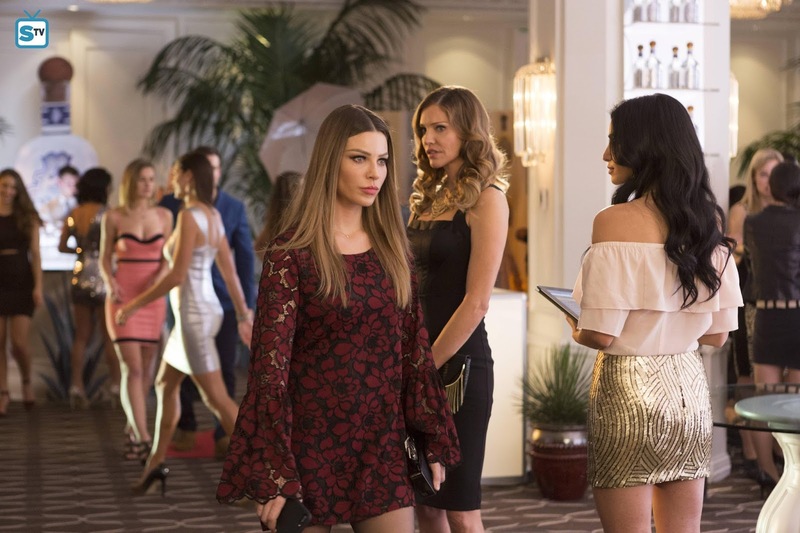 While Chloe won’t be calling Charlotte a friend anytime soon, this team-up did bring her and Lucifer a step closer to reconciling some of their issues. Even though she only thinks Charlotte is Lucifer’s step-mom it did clear up some things for her. While it’s not the whole truth it was enough to bring the two a few steps closer to getting back to where they were before the big debacle with Lucifer skipping town. It was nice to see her make an impromptu visit to his penthouse like she used to do. Their heart-to-heart was also one of the nicer friendlier scenes they’ve had since he got back. It almost felt like old times and considering it came after the big Maze confrontation it hopefully left some impact on him. It’ll be curious to see how Chloe will reconcile all these conversations when the day finally comes for her to learn the truth. For now, this seems like a good first step towards them maybe closing some of the gap that has been lingering between them since his return. Dr. Linda and Dan both had a lot going on in their lives. She is dealing with the prospect of losing her practice while he’s busy still trying to reconcile everything that has happened in his life. They both have gotten wrapped up in the craziness of the celestial beings in their lives. At least Dr. Linda knows what she’s got herself into, but Dan is still as oblivious as ever. On the bright side, they each have a celestial being looking out for them, Dr. Linda has Maze and even Lucifer when he’s not self-obsessing and now Dan has Amenadiel. 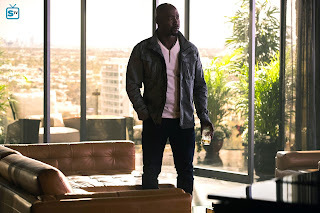 Considering Dan and Charlotte have some sort of connection, this friendship between him and Amenadiel could yield some terrific material next season. 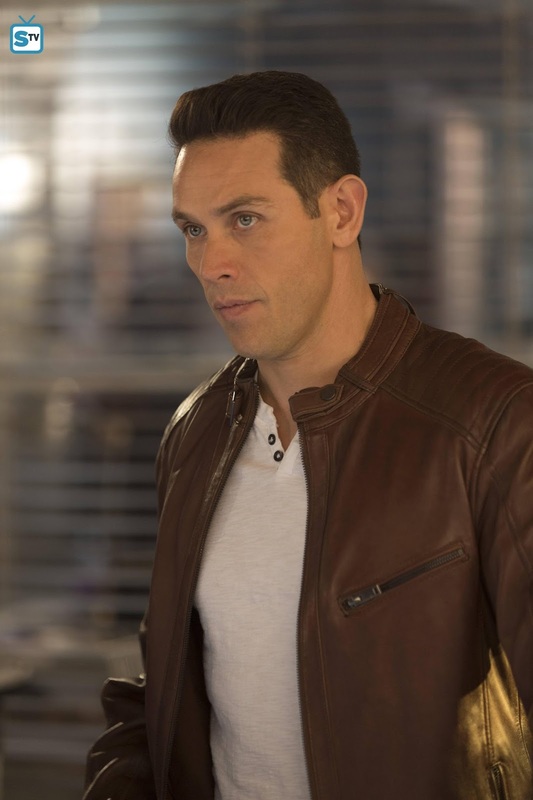 Not to mention Kevin Alejandro and D.B Woodside have a very fun chemistry. When they were interacting it was so believable that Amenadiela and Dan would be friends. On paper, the idea doesn't seem like it would work, but when watching it the bond between the characters just seems to innately work. Like Chloe hilariously tried to explain, if Dan and Charlotte ever ended up married he'd in a very confusing and complicated way be step-father to angels and the Devil himself. Just another reason to hope Charlotte survives her current ailment and remains on Earth next season. 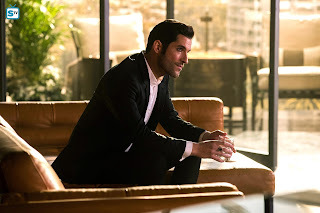 Seeing Dan as Lucifer and Amenadiel's step-father would just be pure epicness pending he could ever forgive Charlotte for everything she's put hm through. Hell might just have to freeze over first, but weirder things have happened. On the human side of things, Ella remains the most mysterious character on the show and that’s impressive since this is a show has a God that has never been seen before. The audience knows more about the mysterious God than we do about Ella. In the past couple episodes, the writers have delivered little tiny drops of information that are starting to look like pieces of a much bigger puzzle. The last episode made it seem like the writers were setting something up for her, but this episode made it pretty clear that something potentially quite big is brewing. Each line of dialogue is precious in a television script. The writers wouldn’t waste valuable screentime mentioning Ella’s brother if that bit of information wasn’t important. So, now it’s been revealed that Ella has been trying to find her brother, but why? Writers don’t just drop breadcrumbs about a character without some big payoff coming. They've been dropping these little clues since the start of the season and it'd be frustrating if they make viewers wait until next season for any payoff. To get ahead of the typical speculation, let’s have some fun and throw out some possible theories for what the writers might be preparing to do with Ella. Could she be Trixie from the future? From the very beginning, she’s had a lot in common with her younger counterpart and Ella is very protective of both Chloe and Dan. She also saw the good in Charlotte which is a trait Trixie seems to possess to see the good in morally challenged characters. And, she did threaten to have someone break Charlotte’s legs if she hurt Dan, which seemed like a very Chloe like thing to say. It seems like a far-fetched idea, but this is FOX who was the home of both Fringe and Sleepy Hollow who did similar storylines, so not entirely impossible. 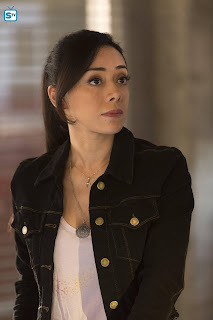 Not to mention, Aimee Garcia could very easily be the adult version of Scarlett Estevez. It’s an unlikely theory, but while we’re speculating, why not? While that is a fun out of the box theory, the most likely scenario is that while Ella is open about her dark past, she might not have entirely left it in the past. If her brother has gotten himself into some kind of trouble she might just be inclined to get back into the car theft business to help him, therefore putting her on a collision course with her detective friends. It’s just another wild theory to speculate about to help pass the time. There are many other possible scenarios, so if you have any theories take a moment to discuss them in the comments. Whatever the outcome, it was very nice to see her get a few more scenes than usual. 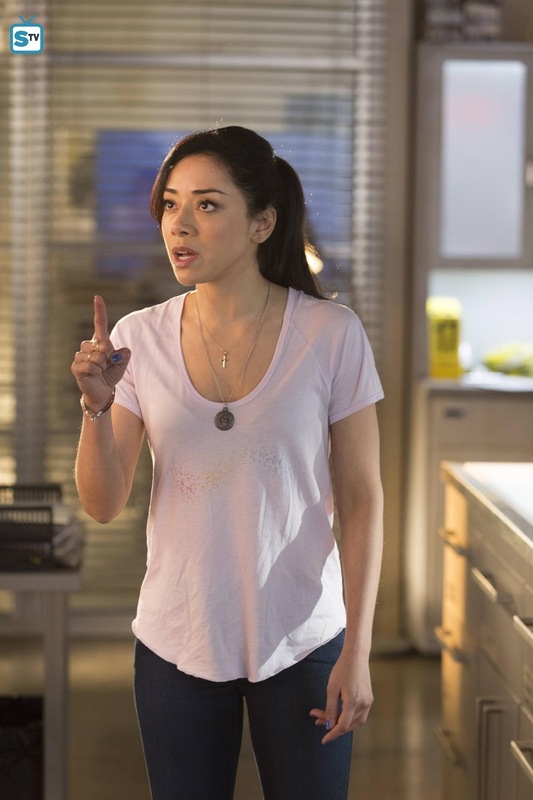 Ella is a character with so much potential and Aimee Garcia has been a phenomenal addition to the cast. With any luck, the season finale will drop some big Ella bombshell that will carry over into next season giving her way more material to work with. This was a strong episode with several big revelations that capped off the episode. It interestingly delved into Lucifer and Amenadiel’s younger days studying. Now the writers almost have to do a Heaven flashback episode at some point just to show what these two were like when they were actually younger. The episode also left a lot of things hanging for the season finale to delve into. What did Maze do when she confronted the board member reviewing Dr. Linda’s case? Will Maze save Dr. Linda’s practice? How will Amenadiel react to being the favorite son? How will Lucifer react to not being the favorite son? What will become of Charlotte now that more of her inner light has been exposed? Can her human body survive the wound? Why is Ella trying to connect with her brother again? 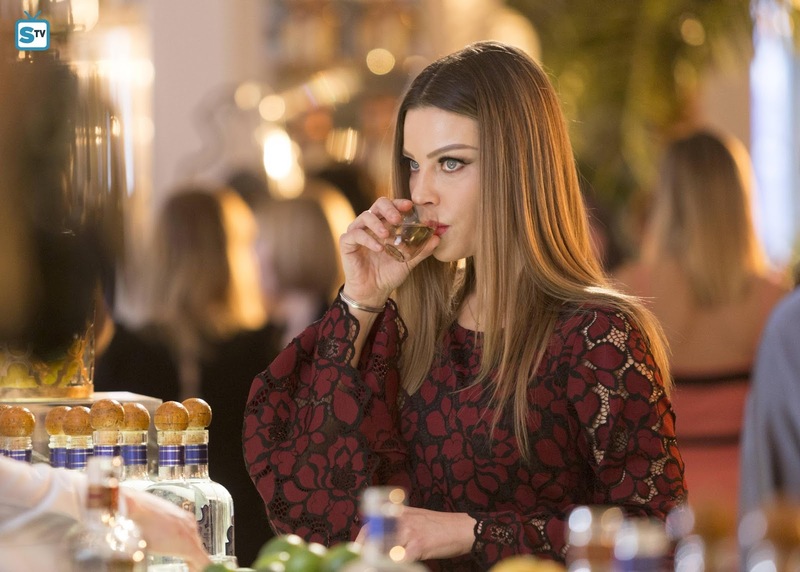 Will Chloe finally start to lower her guard with Lucifer now that she thinks she knows more about his bad upbringing? Most importantly, now that the Flaming Sword is complete what does that mean for the entire show and every character? So many things to consider and wonder about for the next week. One thing is almost a given fact, next week’s season finale is going to be a wild and brilliant ride. Don’t miss the season finale as the season sadly comes to an end next Monday, May 29th at 9/8c on FOX. Hit the comments regarding your thoughts on this episode. What do you think will come of all the storylines that are left hanging as of this episode?